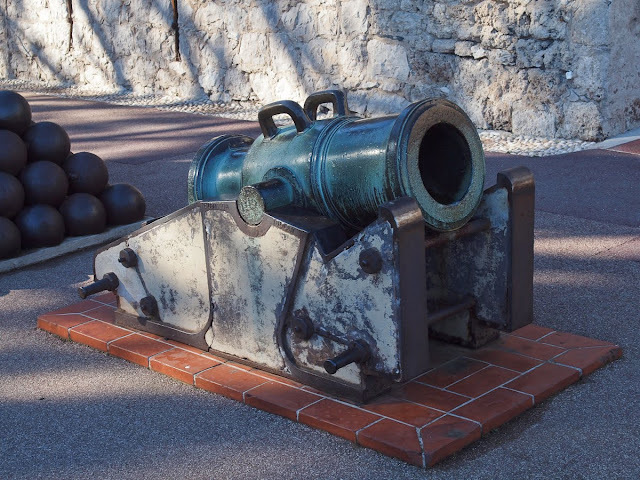 This beautiful cannon can be found on le rocher at the Place du Palais overlooking Port Hercule. Lovely photo of the canon. It doesn't look like they ever used it more like a decoration. 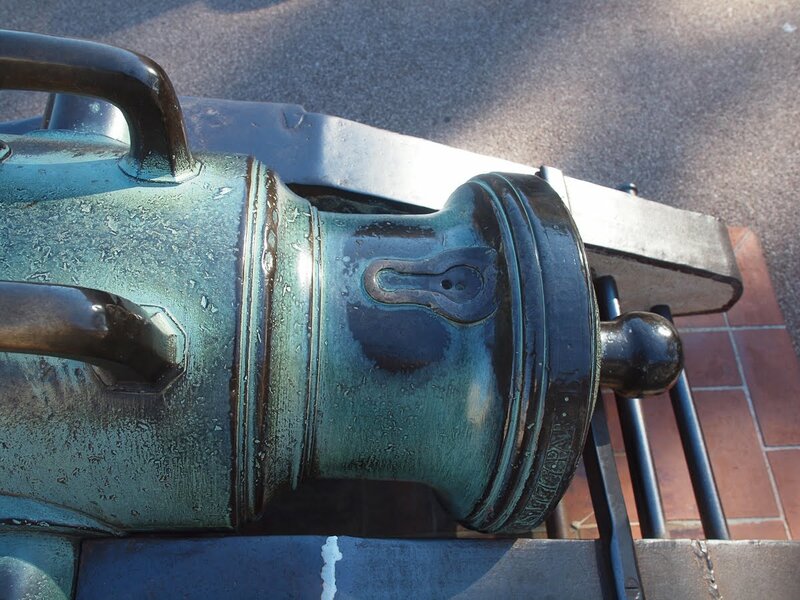 Nice patina.